I used to be obsessed with a cocktail they served at restaurant near my old office (so many many years ago!). That drink was made with a mix of watermelon, rum, and rosemary syrup, and introduced me to the fact that watermelon and rosemary are great friends together. It's surprising, but it works. 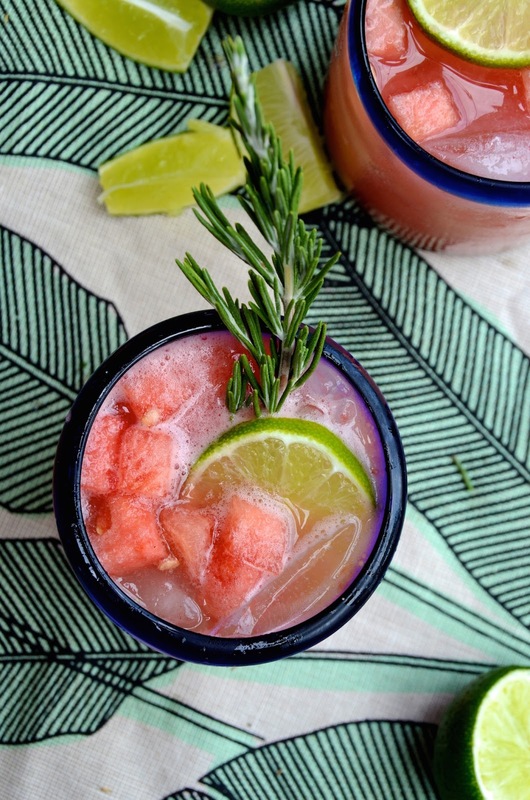 When my blogger friend Kate asked me to join in her annual #MargaritaWeek celebration in advance of Cinco de Mayo, I instantly knew I needed to do something with rosemary...and watermelon. So here it is. I know the flavors might seem a tiny bit unusual, but this drink just works. You're essentially following the same basic margarita rules, but swapping in rosemary syrup (which takes just minutes to make) for the sweetener. 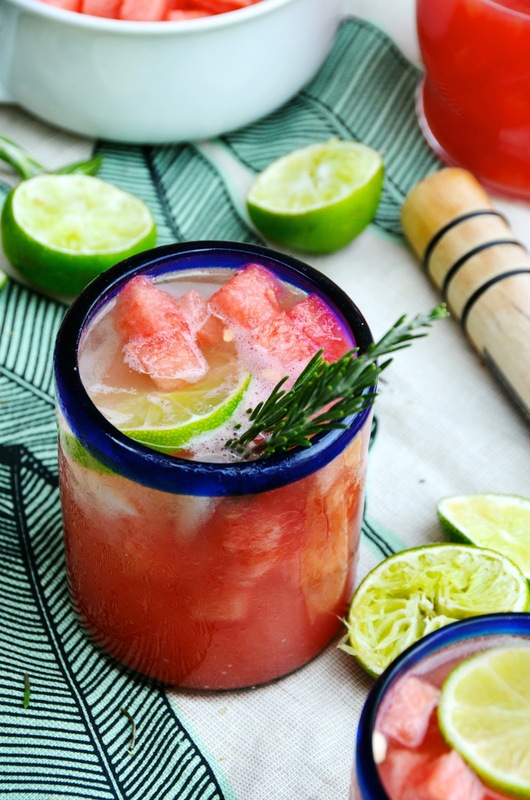 You'll start out by making an easy rosemary simple syrup (you literally just put everything in a pot and boil for a few minutes), then combine with pureed watermelon, tequila, and fresh lime juice. In the recipe I keep it just barely sweet because that's how I like my drinks, but you'll have enough syrup to pump it up a bit more if you prefer. 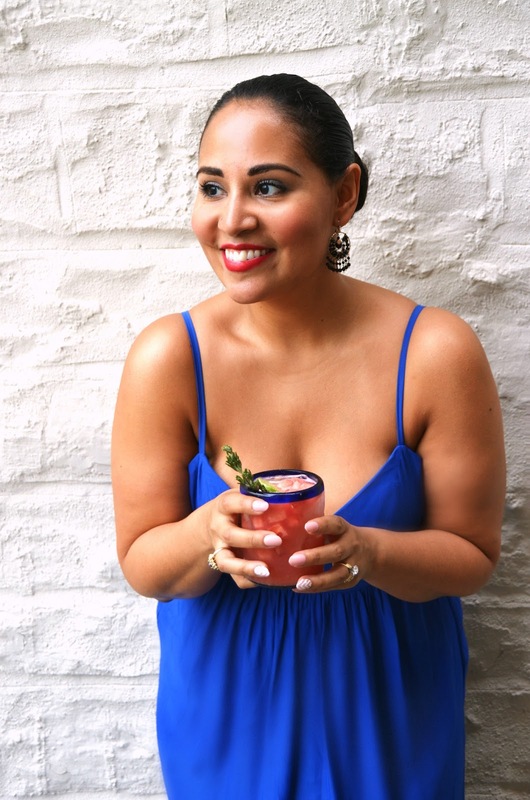 Cocktails are supposed to be fun and super personal--make it the way YOU love it! Oh and if you're entertaining, you can divide all the basic components in little jars and just let your guests mix them up themselves. A little DIY action is always a fun thing! Want a little more inspiration? 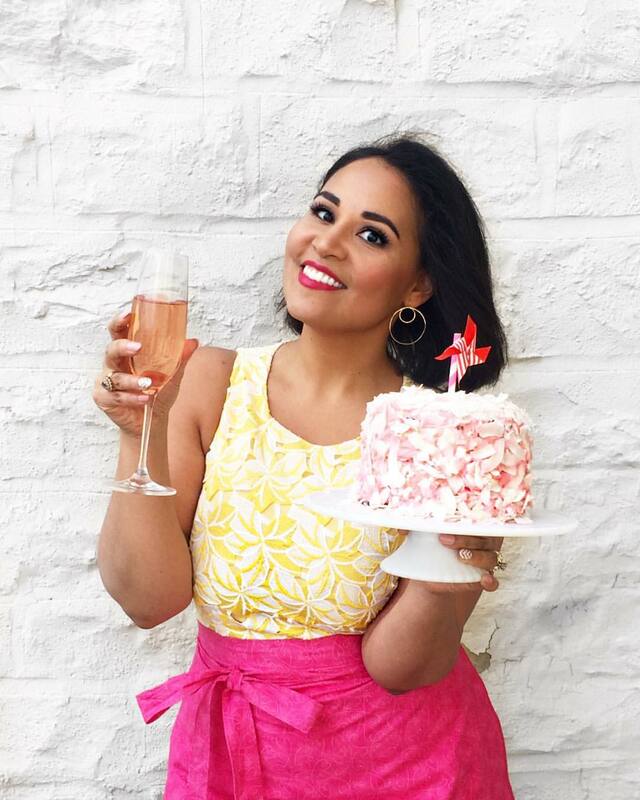 Every single day this week (leading up to Cinco de Mayo), she and other blogger friends have been sharing amazing margarita and margarita-inspired recipes to get you excited about this first summer party of the season. Check out the hashtag #MargaritaWeek on Instagram for more fun recipe ideas! Combine rosemary, sugar, and water in a small saucepan and bring to a boil. Reduce heat and let simmer until the water reduces by a third and becomes slightly syrupy. Pour through a sieve into a jar to remove the rosemary and let the syrup cool at room temperature. Place the watermelon cubes in a blender, and puree until smooth. 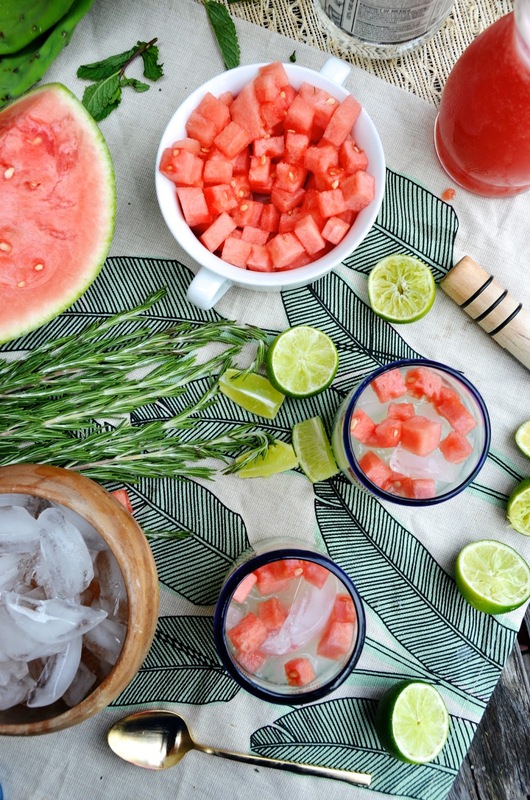 Pour through a sieve to remove any solids, reserving only the watermelon juice. 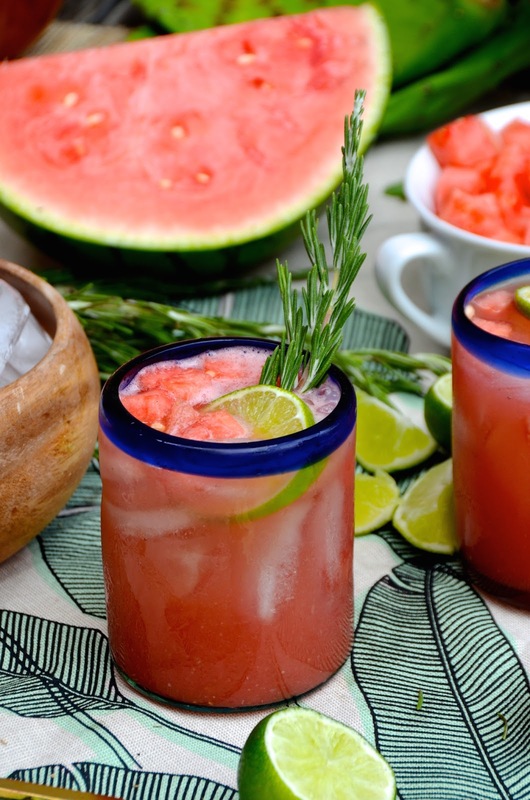 Divide into four glasses with ice, and serve immediately garnished with lime, watermelon cubes, and fresh rosemary.